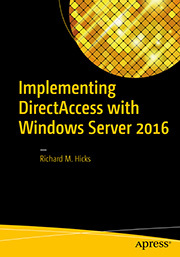 DirectAccess Computer Certificate Auto-enrollment | Richard M. Hicks Consulting, Inc.
Great post, Richard, thank you! 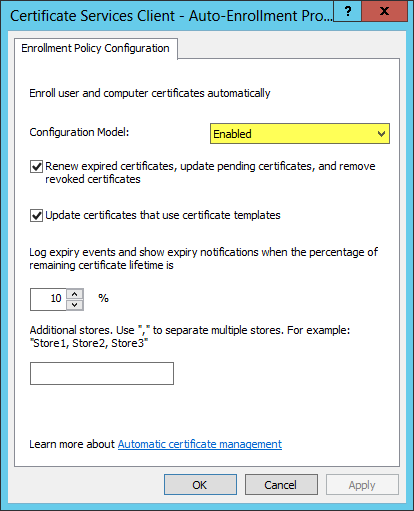 Can we create a similar policy for the server certificate auto enrollment? We have migrated our old PKI1 tier to a new 2 tiers pki in a new branche. Now computers that have a computer certificate from the new PKI won’t connect to our 2012R2 DA. 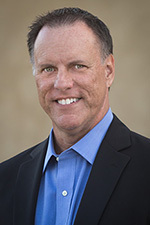 The DA is still configured with the old PKI and has a computer certificate from it. How can I change the Root Certificate configuration on my DA while making sure that client with “old” computer certificate will still connect to the DA? I’m not sure that’s possible. It’s not something I’ve tested anyway, so I’d have to check the behavior in a lab to know more. Assuming the client has IPsec certificates from each PKI, the old and the new, changing the DirectAccess configuration to use the new PKI should in theory work. However, when that change occurs, it will immediately invalidate any existing IPsec security associations (SAs) and if the policy on the client still wants to use the old PKI, it might fail. I’ll test that out when time permits and post details when I have them. -Actual client with old computer certificate could not connect to the DA server when I changed its certificate with a new one from the newPKI branche. So I had to revert back. – I ‘ve deployed a new computer certificate template to all DA client client from the new PKI branche. So DA clients have now 2 computers certificates one from each PKI branche. – I then changed the certificate configuration on the DA server to use the one from the new PKI branche. Current connected DA client lost connection and could not connect until the new DA GPO was applied. Users had to come back first on the office or the support had to applied the GPO remotly by setting up an VPN connection. Thanks for the update. It is never easy changing root CA servers with DirectAccess. We’re in the middle of a domain migration and the DA server is in a different domain (the old one) than the laptops connecting to it. When enrolling client certificates we get an error that the request template version isn’t correct (CERTSRV_E_BAD_TEMPLATE_VERSION). A public certifiacte is used for IP-HTTPS. The certificate is about to be expired. Before expiration, we count to replace it. So i would to know the impacts for the connected clients DirectAccess. The connection will stop ? The service will not be available during the update on the server side? Updating the IP-HTTPS certificate on the DirectAccess server should be minimally disruptive. When you update the certificate, any existing connections will be temporarily disconnected. However, they will reconnect automatically. Just curious on the issue with changing the root certificate and everyone having to bring systems into the office to get the new GPO settings for “First Authentication” ..
I’ll give you the standard disclaimer that “modifying DirectAccess client and server GPOs manually is explicitly not supported”. That said, it might be possible to manipulate them to accomplish what you want. However, I’ve never tried that myself. For my customers, having a solution that is “as supportable as possible” is a high priority. That said, the most non-disruptive way of migrating root CAs is to prepare a new parallel DirectAccess deployment and migrate users to the new deployment configure to use the new PKI. Once complete, the old DirectAccess infrastructure can be retired. I realize that might not be desirable for you, but that’s how I’ve historically approached this scenario. If you are changing the root CA there’s not much you can do to prevent service disruption for clients that are outside of the network when you make the change. In cases such as this you can either have remote users come back to the office or connect to a VPN to update group policy. If that’s too much effort (for example you have many thousands of remote users) then implementing a new, parallel DirectAccess deployment that uses the new PKI and migrating users is probably the best approach. Fortunately we managed to do change of ourourPKI PKI without to much of disruption. Most of our DA users have Win7 with acces to backup VPN. Win10 users which have only DA were instructed in adavance about the change and all of them returned to the office for new GPOs. Let me clarify what I just posted… I didn’t mean to say add a Second Authentication option… I meant to say that in the First Authentication option methods you can add a second entry in the list and select computer certificate with the new root and it will show up in the list and the description says that those higher in the list are tried first, but will it eventually try the second one? Can you give us some insight on where to find the Direct Access IPsec Properties? You’ll have to be more specific. Are you talking about the certificate template properties or the DirectAccess IPsec connection security rule itself? Same question as Andy. Your last step is “Finally, make certain the Enroll and Autoenroll permissions are set to Allow for all DirectAccess client and server security groups.” and it shows a picture of a box labeled “DirectAccess IPsec Properties”. Where do I find that please? This is the properties page for a certificate template I’ve deployed called “DirectAccess IPsec”. In your PKI it will be whatever the name of the certificate template is that you are using to provision certificates for your DirectAccess clients. Hope that helps! Yes. That makes much more sense. BTW your blogs are invaluable. 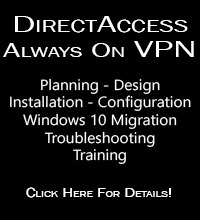 We have setup auto enrollment for directaccess but auto enroll only works when we are connected via Wifi or Lan Connection. When we have a laptop which is connected via Directaccess and is on 4g autoenroll doesnt work. Do you have any idea how we can get auto enrollment for directaccess / 4g connection? Odd. Certificate auto enrollment should work as long as you have network connectivity of some type, DirectAccess included. I can only suggest that you look closely at your group policy settings and ensure that they are being applied to your remote clients as you expect. Also, check the event log for indications of certificate enrollment failure. They could yield some clue as to why it is failing.